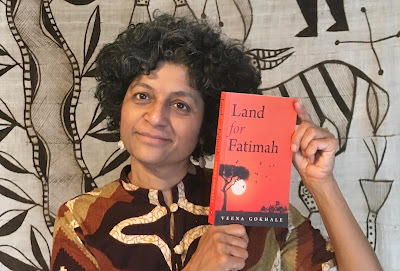 Q: Your novel Land for Fatimah has excellent reviews, and reviewers have focused upon is your ability to turn issues that everyone is tired with and wary about – underdevelopment, dispossession, poverty – into an incredibly interesting story. How did you weave such an intricate story from a subject that is so dry and academic? A: I didn’t even realize these were subjects that people found unappealing! Ah well. I have always had great respect for subsistence farmers, who have fed the world, often working against odds, even great odds, since humans took to agriculture. Commercial, large-scale farming is relatively new if you take the long view of human history. So when Fatimah, the subsistence farmer who has been thrown off her fertile land and forced to leave the little village of Ferun, along with members of her ethnic group called the Aanke, visited me from Storyland, I was delighted! At the start of the novel all the Aanke relocate to different parts of Kamorga, an imaginary, east-African country that the story is set in. It is a heartbreaking process and Fatimah is determined to find new land so that her community can be united and farm together again. So there you have “the quest,” so fundamental to story building, and the stakes are high. Migration, forced or otherwise, is something everyone gets, especially nowadays. That is one of the key themes in the novel. On the one hand, readers want to know what will happen to Fatimah and her people. On the other, we have another person out of her comfort zone. Anjali, the heroine, is an Indo-Canadian, international development worker who is posted in Kamorga from Toronto. She represents the urban, professional expat, and though she has moved of her own volition, she too faces challenges. For one thing, she has dragged her 10-year-old son along, and he is not happy about the change. 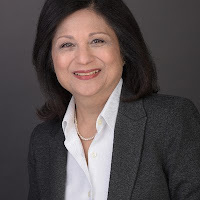 Because of certain events in Anjali’s past, events that affected her powerfully, Anjali also identifies with Fatimah’s quest and now there are these two women, in an unusual friendship, on this quest together. So, we are into some familiar tropes, aren’t we? Anjali, though an outsider in Kamorga, knows the world of international development and grant writing and is a good ally for Fatimah. So they have this quest, but soon their quest is threatened, of course! And there’s the villain or vamp, an interesting and complex one, in the form of Grace, Chair of the Board at Anjali’s NGO, who opposes Anjali. They have a tense relationship. And Anjali has a maid called Mary, a very sympathetic character, who has a challenge as well, a big one. The dilemmas of these characters, the revelation of their inner selves, as well as their joys, keep readers involved. The landscape of fiction is so rich, lush and evocative, where you can show the complexity and the contradictions between characters, situations, systems. And motivations. Human motivations are always so fascinating, don’t you think? While at the same time there is play and humour and dream sequences. If you find your subject interesting you can make it interesting for the readers. Q: It’s also obvious that your own experience of working as a journalist in Bombay and then working as a developmental worker in Tanzania has had a deep impact on you and it has transformed the novel; how much of is derived from your life, if at all. A: I was passionate about my work in journalism and then my work with NGOs and I’d say the broad socio-political themes that the novel tackles come from real life. My frustration and anger at all the injustice, land grab, systemic inequality, greed, corruption, fuelled the narrative. You used to live in Bombay and will remember well the era of slum demolitions. The prologue of the novel, in fact, starts with the demolition of a slum in Bombay, the city where Anjali was born. There’s an authorial voice coming through at the beginning of the novel which says: Some stories cannot be contained. They refuse to remain confined to a particular place, whispered by a select group of people. These stories must get out and wander, make themselves known, grab this ear and that. Such was the story of Fatima and the Aanke from Ferun. Did I ever meet a Fatimah, a resilient, subsistence farmer who practices a made-up form of Sufism and lives in a compound with her many relatives? No. For that matter, I never witnessed a slum demolition either, though I read about them. 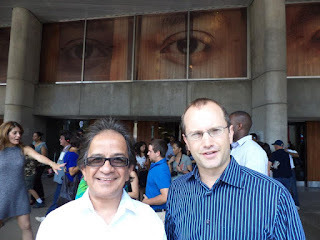 My work in international development in Tanzania helped me portray the expat. 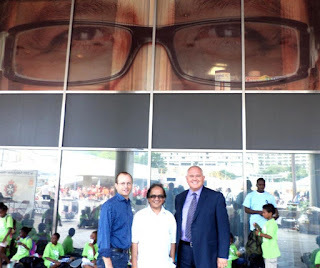 milieu for sure, but my own NGO and its work was very different. I did have a nice maid called Mary, but the fictional Mary is way larger than life and ninety per cent made-up. And her intriguing son Gabriel is 100 per cent made up! I also have this big question about what is the best way to bring about social change. Welfare state and policy change and slow evolution or a people’s revolution? Anjali is essentially liberal and represents the former view, while Hassan, the Marxist academic is for revolution. They argue, and they are also drawn to each other. Q: Your short story collection Bombay Wali & Other Stories is about a Bombay that only lives in the memories. Would it be difficult for you to describe contemporary Bombay in a work of fiction because you don’t live there anymore? A: I don’t actually agree that the Bombay evoked in Bombay Wali is so passé. Since the stories are either character driven or try to dive into the depths of a character, even if the plot is important, I feel there is a universal and timeless aspect. Also, there’s the cliché about India living in several eras at the same time, how the past is never quite erased and yet every new global trend gets reflected very quickly. I think it’s rather true. 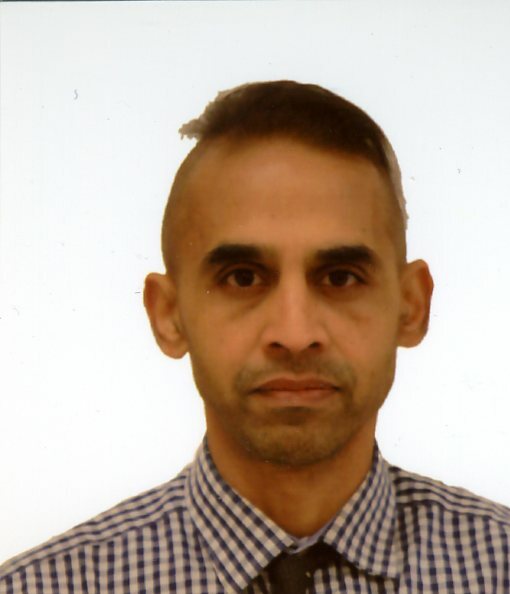 Jeet Thayil’s Narcopolis, mostly set in a peak drug and prostitution area of Bombay, in the 1970s, got nominated for a Booker and Hilary Mantel won two Bookers for her literary works set in historical periods in Britan. I believe fiction can remain relevant for reasons quite different from non-fiction. But to come to your question, I would not set a novel in Bombay/Mumbai or India now. A short story maybe. That ship has sailed and may even land in North America next! 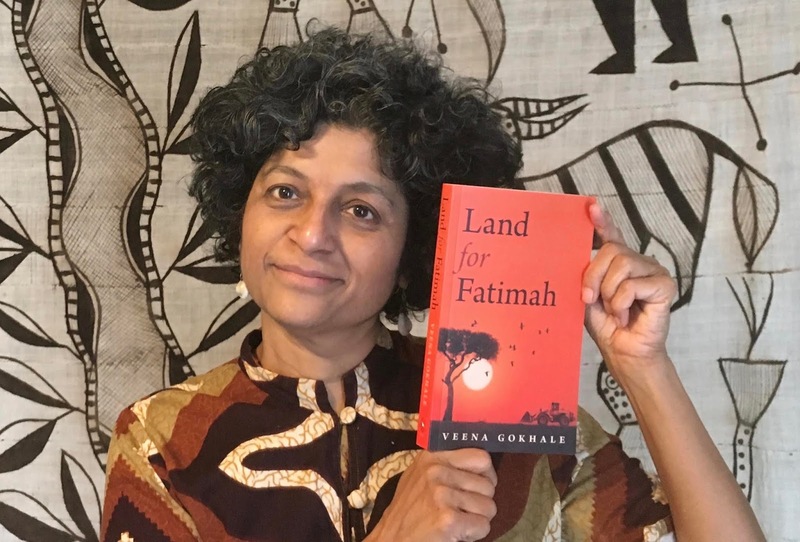 Q: In both Land for Fatimah and Bombay Wali, what stands out is the remarkable finesse with which you develop characters. Grace in Fatimah and Feroza Billimoria in Bombay Wali stay etched in readers’ mind because of the way their character is developed. How do you do it? A: Feroza in Bombay Wali was a popular character, going by what readers said. She came to me from Storyland, as did Grace; the literary gods are benevolent. At the same time, both are also inspired by real life. Many of us know a Feroza, in that she is the ageing sibling who is left behind to look after even more ageing parents while the brothers and sisters have gone off and made a life more centered on themselves elsewhere. So it’s quite a generic character, universal, but then Feroza is also very much a particular person with her professorial love for history and the fact that she takes a chance on real love, that of a professorial man. She goes to a jazz concert when a friend asks her, even though it’s not really her milieu. I don’t know how I do it exactly as these folks appear and take hold of me and I do some reflection, sometimes a lot of it, and write a backstory sometimes and take character notes, at least I did for Grace as she was going to be with me through an entire novel. Often the characters arrive as “whole” people and all of them become “real” for me. Maybe it comes from observing life and people acutely and asking that question about motivation. Grace has been remarked upon too, maybe because she is not one-dimensional, as villains can sometimes be. People working in NGOs, particularly leaders, tend to be idealistic, dedicated, opinionated, passionate about a cause. Grace is all that, but she also has her biases and blind spots. That makes her compellingly human. Q: The writing process is obviously important to you because you are a painstaking author. Describe the process of constructing both a novel and a short story collection. A: Wow! That’s a BIG question and I don’t know if I can do justice to it. I started writing the stories that made up Bombay Wali, which incidentally means a woman from Bombay, in the early 1990s. I had just come to Canada for the second and much longer time, to do a Masters. You know what a compelling city it is, and this may have been a way of reliving the experience and re-imagining it and also of letting go. I wrote my first story around age 8, so writing fiction has always been with me, sometimes in the background and sometimes in the foreground. I keep rewriting, the most important part of being a writer, and then those rough edges smoothed out and the at times chaotic narrative acquires a flow and it all slowly comes together. Some stories come in flash and don’t change much, others evolve over time. And there’s always that obsession with words/language! By the way, there was a novel in my 20s set in Bombay that I did not pull off and a second in my 30s set in a haunted house near Bombay that I did not pull off either! I have belonged to writers’ groups and taken a course or two. I own and read books about the craft of fiction writing and it’s all helped, including being a journalist and writing to a deadline and to word count and getting edited and editing other people myself. For the novel, I got good, in-depth feedback from 4 people about the whole narrative and a couple of others on particular chapters. It was a complex plot indeed and required moving the sections and chapters around and of course a lot of editing. The plot itself came to me towards the end of 2016 (I was in Tanzania from 2015-2017) and though it was just a skeleton and it took a hell of a lot of work over three years to flesh out, it did not change in essence. I am also very stubborn, and you need that. Writing fiction gives me a lot of pleasure. I would not do it otherwise as the rewards are not exactly worldly and it’s a strange life for sure! 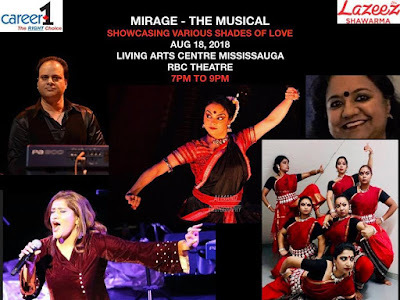 Mirage – the Musical was a bravura performance of three talented artists – Enakshi Sinha, the dancer, Parag Ray, the singer and Nadeem Ali, the musician – who came together to produce a dance ballet depicting a woman’s love as expressed by four eternal lovers from Indian myths and mythologies, both modern and traditional. 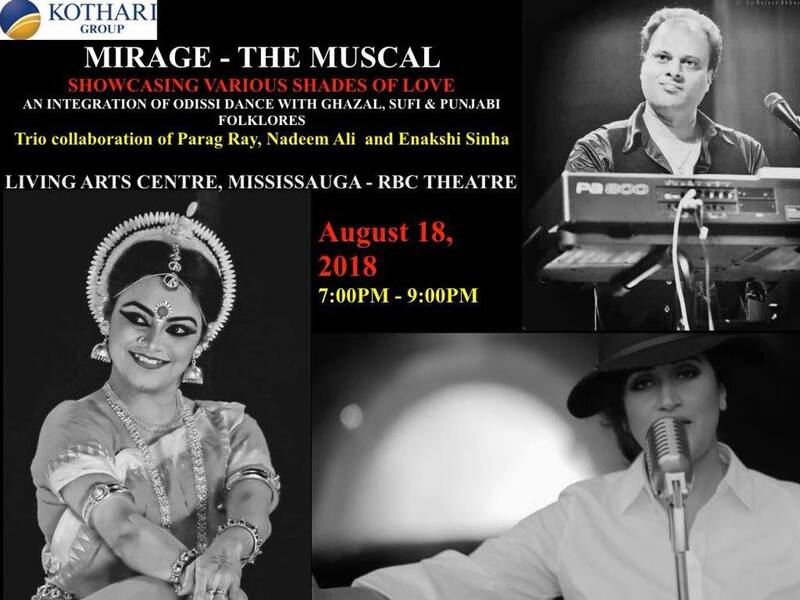 The lovers were Heer, Chitrangada, Chandramukhi and Yogini – the selection of these lovers was eclectic, and the depiction of their angst was aimed at appealing to the diverse audience at Mississauga’s Living Arts Centre. The story of Heer and Ranjha is the mainstay of Punjabi folklore across both sides of the artificial borders of Punjab. Chitrangada is a character from the epic Mahabharata (Arjun’s wife when he is exiled). She is raised as a man by her father and is adept at warfare, but falls in love with Arjun and begs the god of love – Madan – to transform her into a beautiful woman. She succeeds in enticing Arjun to love her. She has to reveal her skills when her father’s kingdom is attacked, and Arjun is so impressed by a complete woman that he insists on marrying her. The denouement is tragic in the original epic, with Chitrangada’s son defeating Arjun. But what we know of the story is through Rabindranath Tagore’s eponymous play. Tagore’s interpretation of Chitrangada is of a woman who knows what she wants and knows how to get it. Sharatchandra Chattopadhyay gave us an epic in Devdas, the story of star-crossed lovers Paro, Devdas and Chandramukhi. Bimal Roy immortalized the epic on celluloid in 1955 with Dilip Kumar enacting Devdas’s role and Vyjayathimala performing Chandramukhi’s role and Suchitra Sen playing Paro. Chandramukhi’s love for Devdas is unrequited, but she doesn’t give up hope. Yogini is woman mendicant who eschews the material world for the spiritual solace. Traditional Odissi involves four distinct stages of story narration – invocation, nritta, nritya, moksha. The depiction of these four characters follows this sequence, although Enakshi Sinha interpreted the stories and the dance to suit the narrative that was suffused with traditional, folksy ghazals, ballads folk songs, soothing remixes of film songs originally composed by the maestro AR Rahman. 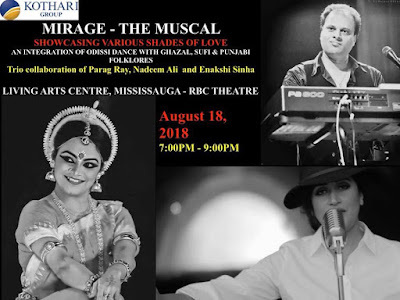 Parag Ray’s singing was a tour da force; she sang from the pit of her gut, and her throaty rendition of the songs was so stunning that she compelled attention, which was divided almost equally between dance, singing and music. Wisely, the performance included Rahman’s classic from Bombay (1995) Tu Hi Re and Amir Khusro’s all-time classic Chaap Tilak. The musical interludes by Nadeem Ali and Avengers were superlative throughout, and the musicians succeeding in not be carried away throughout the performance, which is not always easy. Srijan Chatterjee’s recorded music, which formed the backdrop during Chitrangada segment, was robust, strong and pulsating. The performance remained engaging throughout as the concept aimed at creating a synthesis between classical and popular artistic expressions. Enakshi Sinha conceptualized, choreographed and directed the performance, with Srijan Chatterjee developing the concept. Nivedita Bhattacharjee’s script and Krishnakali Sengupta’s narration holds together the performance that is four stories that are distinct if not disparate. Neelay Sengupta designed Enakshi’s costumes, and Enakshi’s students joined her in the performance. It’s a freezing, wintery Good Friday morning in Toronto. The forces of evil – Satan’s army – are preparing for one more attempt at grabbing and destroying the one remaining thorn, from the crown of thorns that Christ bore. The one thorn that stands in the way of Evil taking over the world. When the 'end-of-world’ and repentance preaching mad-man is suspiciously struck by a speeding truck and dies in Daniel’s arms, he passes on the mantle of the Thorn Bearer to Daniel. Suddenly a beautiful quiet day is transformed into a war zone as a massive car pileup is followed by riots, shootings, cops and zombie-like mobs that seem totally possessed by some kind of evil. The chaos reaches a peak when an assassin becomes a reality with even a cop gunned down bringing in a highly trained swat team. Daniel is sure that the hooded man, a sinister presence is behind the rapidly escalating chaos. In the midst of it all, he discovers his own allies that will fight by his side. The forces of evil sensing another defeat let loose a spate of shootings, burnings and riots. Between Yokatherine, whose long past and a brush with the same evil is now coming full circle, and Ezekiel, a teen battling his own moral issues, the three realize that their destinies are closely tied with a final battle of the day. Before Daniel can deal with any of that he must first fight the deadly charm of Amanda, a stunningly beautiful, dark-haired young woman, a down in the dumps photographer who gets hired for a second time by the hooded man to shoot the events to unfold that Good Friday. Daniel knows that he must put an end to the instant attraction that magnetically brings the two together in the midst of the chaos. Neither Daniel nor Amanda, know how closely their destinies are tied together, yet, not in the way they could imagine. Between murdered cops, pregnant teens, human sacrifices to the evil one and a day that must face a final reckoning so deadly, that Daniel slowly discovers a world that has lived on the edge and which he must now protect from Satan’s forces. From the slopes of Calvary, where the Son of Man conquered Sin and Death, to this day 2000 years later, the battle has been ever raging. A battle between the Kingdom of God and the forces of evil, and a victory so critical to all that is good in this world. The conflict that engulfed former Yugoslavia in the 1990s is consigned to history and largely forgotten. It’s been overtaken by many heinous wars and atrocities across the world. The genocide in Rwanda occurred almost concomitantly with the genocide of Bosnians, Muslims and other minorities by Serbian war criminals. Then, of course, 9/11 altered the world irreversibly and the “global war on terror” legitimized Western intervention in Iraq and Afghanistan. The fissures that emerged in the former Yugoslavia as it rapidly imploded during the collapse of Communism, led to a horrific war that resulted in ethnic cleansing on an unimaginable scale. At a time when swift action could have ended the misery of millions of minorities in this multiethnic society, Germany’s continued prevarication delayed the involvement of the NATO forces. Germany couldn’t muster the gumption to invade the former Yugoslavia because of its Second World War history. Finally, in the mid-1990s, after the genocide in Srebrenica and Markale, the Clinton Administration decided in favour of NATO intervention and ended the war, and even brought the war criminals to face Nuremberg-type trials. However, we suffer from selective amnesia and easily forget the lessons learnt from these tragedies. The main lesson is that almost all these tragedies are brought upon us by charismatic leaders who we elect and bring to power. We continue to vote for leaders who unleash hatred against minorities to legitimize their control over power. The Bosnian War has to be viewed from the prism of the rise of globalisation and ethnic identification. Globalisation began in the 1980s and took flight in 1990s changed the world as we know it. Corporations became global entities, becoming parallel power structure, often rivalling governments in their influence to shape policies. Simultaneously, and paradoxically, ethnic identities also became increasingly important to large sections of people in many parts of the world. Nationalism, already under a threat from globalisation, was further battered by ethnic groupings that focused on subnational identities. The collapse of the consensus on globalisation following the 2008 economic crisis resulted in the intensification of subnational identification and its most significant manifestation has so far been the rise of xenophobia. Unsurprisingly, Donald Trump capitalized on this anger and changed the political dynamics of the world. Misogynistic, xenophobic, fascist sentiments that had hitherto remained at a subterranean level were menacingly and suddenly emerged to the surface to become the mainstream political ideology of elected governments. Any creative process that tries to portray this fearsome phenomenon of the freefall and imminent end of liberal ethos would necessarily have to abandon linearity. It'd have to transcend the limitation of form. Bluemouth Inc. a Toronto-based “performance collective that creates original, dynamic, immersive” performance events performed Café Sarajevo - episode 1 in Toronto at the Summerworks festival. An interactive, multimedia, theatre production, it was stunningly original in its presentation and in the innovative use of media technologies. The manifest outcome was the transformation of the audience from passive consumers of art to active participants in the narrative. Bluemouth Inc. used a video wall, music, narration by multiple actors, digital and GPS technologies, customised video recordings for individual members of the audience to supplement the live performances. 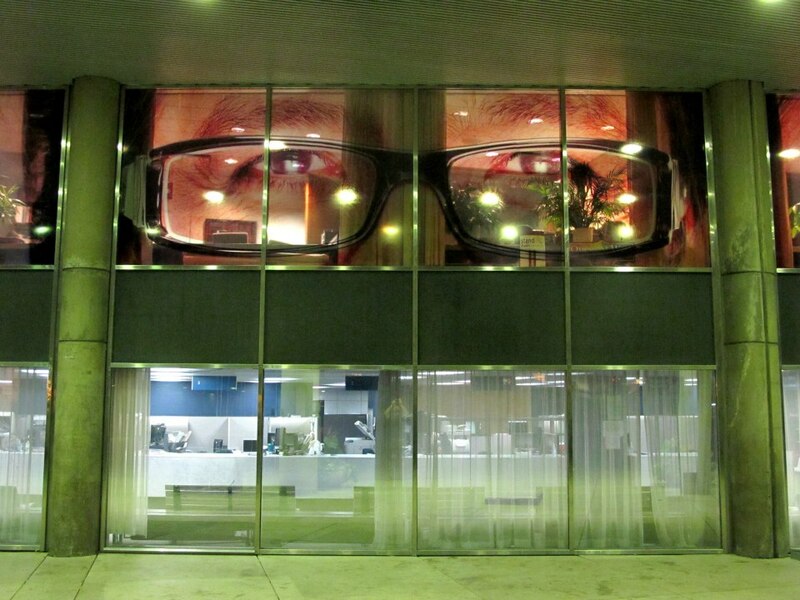 All these devices build upon and complement each other to create an impact that was aural, visual and physical. The attempt was to depict the global upheavals such as the refugee crisis and xenophobia of the western societies. The structure was deliberately kept nebulous, easily adaptable, changeable and one that enabled constant improvisation. The narrative was loosely based on Lucy Simic and Stephen O’Connell’s trip to Sarajevo and in particular Lucy’s reminiscences of the historic city of her roots. It linked the trip and the history of the Bosnian conflict to the social unrest of the late 1960s and the early 1970s and to the present day crises triggered by Trump. A seemingly obtuse debate between Noam Chomsky and Michael Foucault became the launching pad for the performance, where Chomsky appropriately declares that it'd be perfectly legitimate to oppose and fight the state and defy its anti-people policies. Visually, Cafe Sarajevo - episode 1 was a surfeit of images - of Sarajevo, of the women’s rally held in Washington DC after Trump became the US President, and unending collages and raw footage. Different members of the audience enacted and read different parts of the narrative. The most telling narrative is the debate that Simic has with an owner at a local coffee shop over whether the coffee served is Turkish or Bosnian. There was roleplay, too, with members of the audience becoming characters in the narrative. 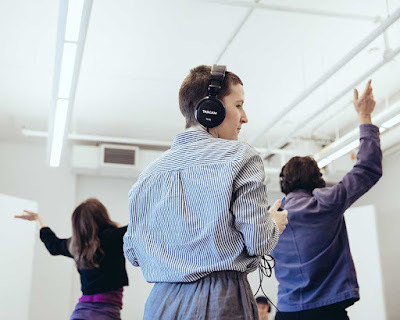 There was a constant sense of being overwhelmed by all that was happening during the performance, and a clear sense of loss of control over what one should experience - whether to much caramel popcorn, or sip coffee. In all likelihood, that was the intended effect - as it accentuated the cluelessness that most of us feel about our world. Café Sarajevo was my third experience of vicariously living through the Bosnian War. The two novels that I’ve read that are linked to this enormous tragedy – Steven Galloway’s The Cellist of Sarajevo and Avenger by Fredrick Forsyth – are both tangentially connected to Canada. 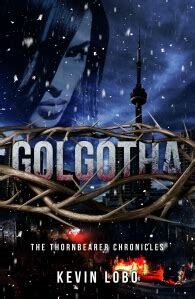 Galloway is Canadian, and in Forsythe’s Avenger, it’s the Canadian billionaire Stephen Edmonds who hires the ‘Avenger’ Calvin Dexter to avenge his grandson’s murder in the Bosnian War. Forsythe’s novel is a formulaic nail-biting thriller that keeps the reader on the edge as the story unfolds to tantalizing end a day before 9/11. Galloway’s novel is a fine work that carefully constructs the shattered and disintegrating lives of is the story of Arrow, Kenan and Dragan as they come to terms with the reality of a war-ravaged city that they have lived all their lives. When I reviewed it about four years ago, I’d said, “To Galloway’s credit, nowhere in the novel does he ever mention the siege from a macro perspective – Serbian forces that surrounded the outlying hills of Sarajevo are never named, and neither are the Bosnian government defence forces named. 2012 brought major changes in our lives. In our fourth year in Canada, our need was to belong to a place that we so much wanted to call our home. Our quest for a home of our own was now the most important thing in our lives. We moved into a larger apartment in the same building so that Che would have a room of his own. The apartment was bigger, but our need was not so much for space as it was for setting roots into this land, and for that, we needed a home of our own. A greater part of 2012 was devoted to looking for a home, and we did that in our usual ham-handed manner. Once again, Che rescued us. He’d seen a home that was on sale on Gibson Avenue just off Jane Street on Lawrence Avenue West; not too far from our rented apartment on Keele and Lawrence. We began the process in 2012 and moved into our new home the next year. 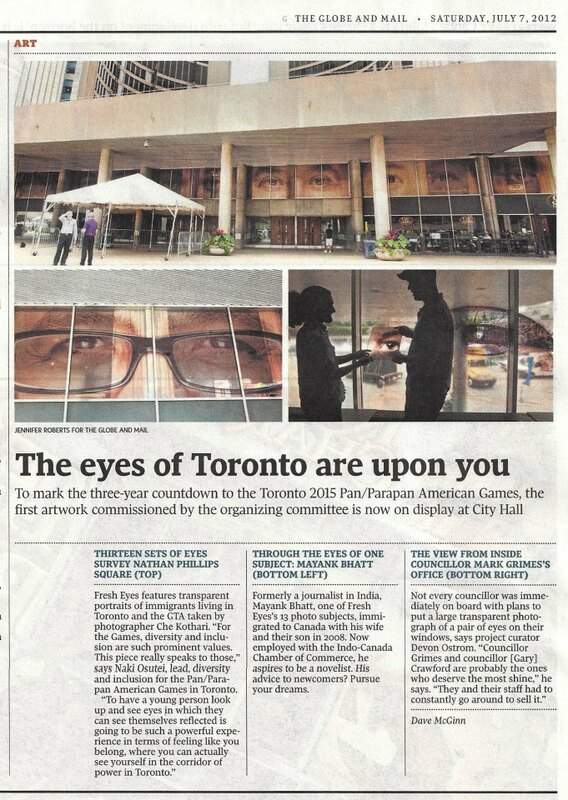 A team led by Devon Ostrom, an art curator and public art advocate, conceived the project which comprised taking photographs of the eyes of newcomers and putting them up on Toronto’s City Hall. 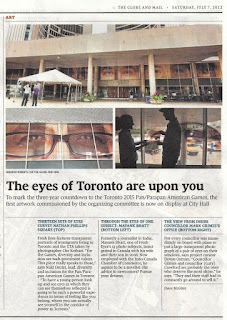 It was to depict how newcomers saw Toronto, reversing the notion of the newcomers being under scrutiny. 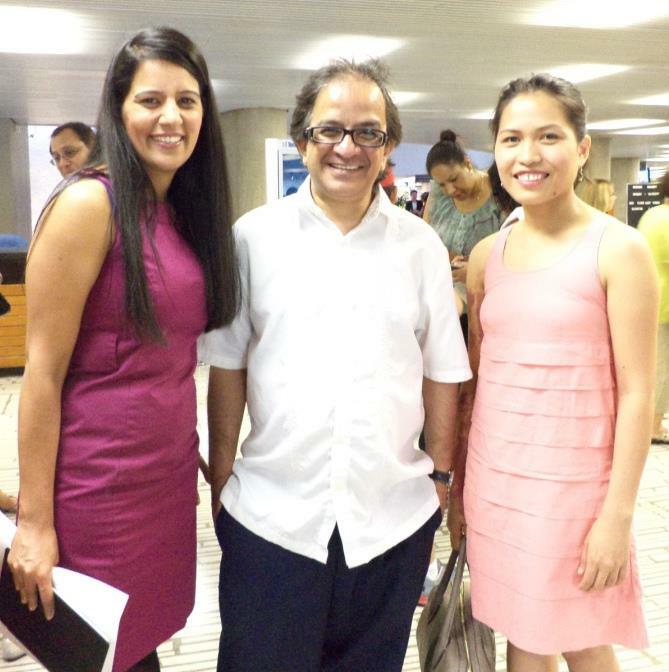 I was selected based on my written submission – a short essay about my immigrant experience. A volunteer from the organisation Helena Shimeles interviewed me. She was so involved in her questions and in understanding my experiences that I cried while answering some of the questions. The second part of the project was an insertion of short announcements under a new section called Arrivals in the traditional births and deaths classified announcements of the Toronto Star. A friend saw the announcement ad and despaired that I’d died. The project got enormous participation and I met Che Kothari, a young photographer, who clicked a totally clichéd photograph where I posed holding my chin. 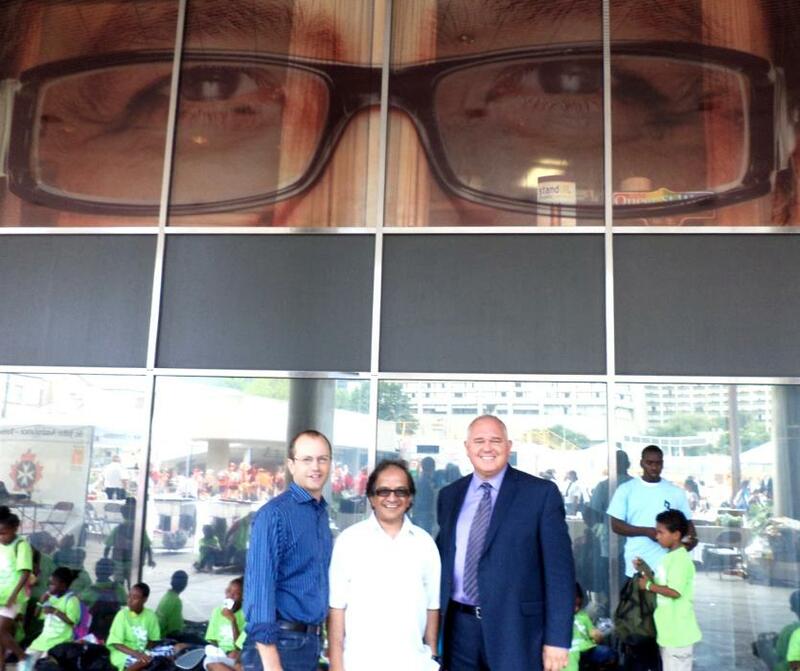 An enlarged version of that photograph was gifted to each participant. I met the super talented Haniely Pableo, a young Filipino singer, who was also a part of the project. 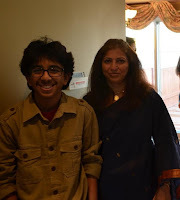 I also met the super talented Ravi Jain again. 2012 turned out to be a memorable year because Mahrukh joined Home Depot, initially as a garden supplies part-timer, and then gradually, over the next six years, through sheer dint of hard work, tenacity and determination, she finally became a permanent employee this year (2018). 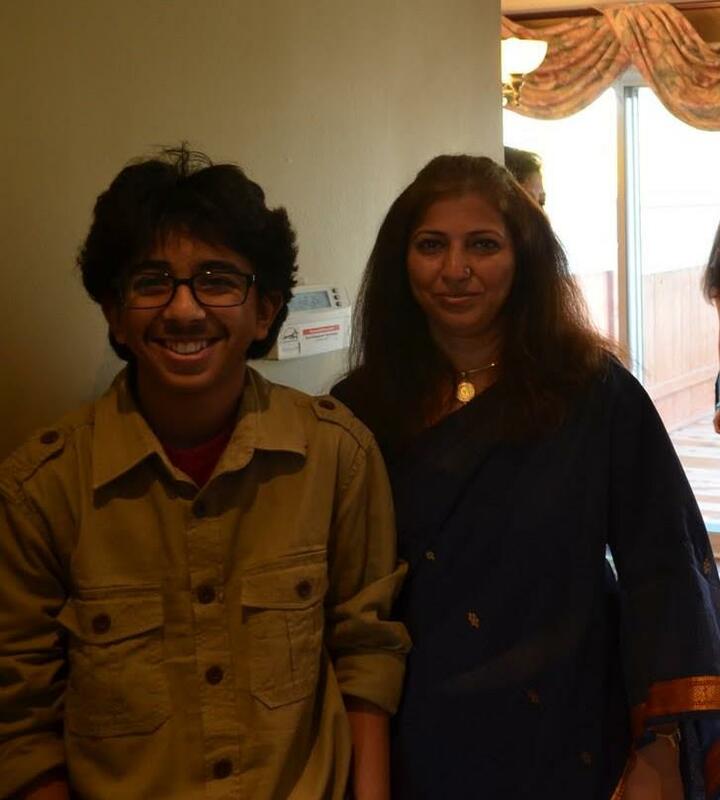 I’ve probably said this earlier, but I’m happy reiterating it and reemphasizing it – that the biggest transformation in our family after we came to Canada has been in Mahrukh. She was always an independent-minded woman, who has always known what she wanted, and has gone all out to get it; she’s also had the sagacity to accept things that she cannot change. Her presence in our lives has made our transition to Canada truly meaningful. 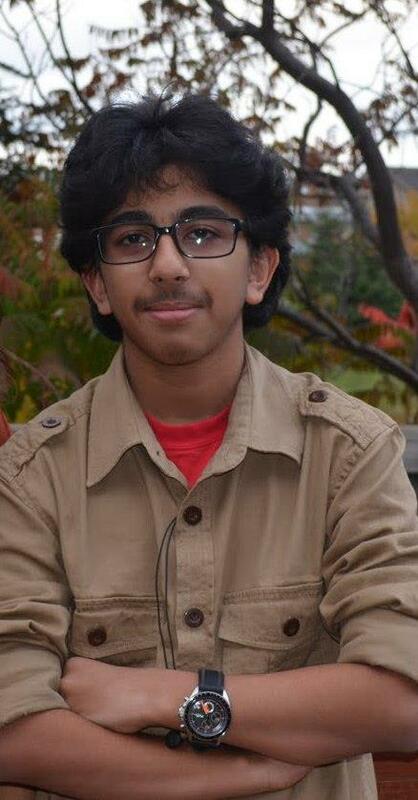 The year also began well for Che, and he was now at the York Memorial Collegiate for his high school. It was during this phase and especially when he was in Grade 10 that he suddenly developed anxiety issues that spiralled out of control until intervention by a psychologist helped him cope and then overcome these challenges. As a family, we were ill prepared for this upheaval and suddenly our lives changed. We went through a harrowing time for more than two years; more so because we weren’t aware of the matter. I’ve always felt that the main cause of this was the burden of expectations that we had put on his delicate shoulders. 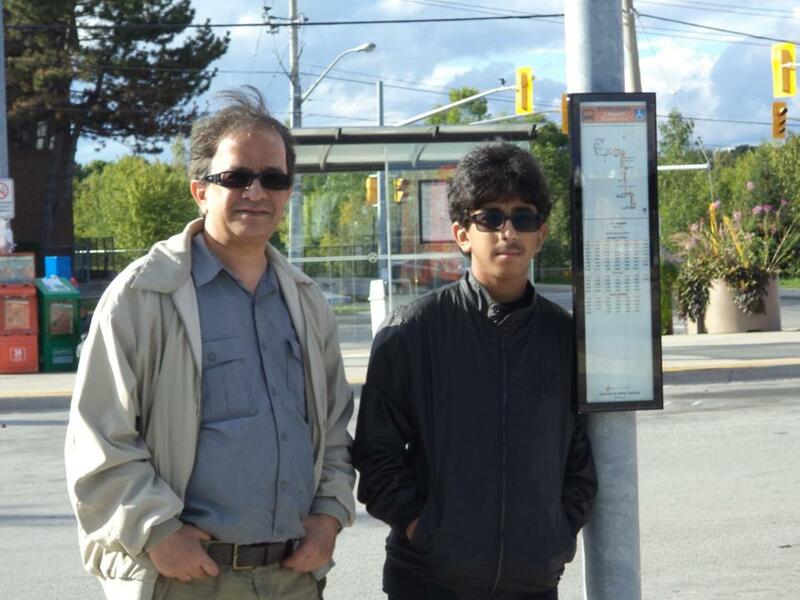 He was unable to express his discomfort with his situation as a newcomer to the Canadian education system, and while he’d tried to adjust to everything that happened, without any complaints, he was unable to live up to the expectations that we had of him. Che was unable to complete his High School within the stipulated time; it was delayed by a year. But, he remained very much the responsible immigrant child who knew the struggle that the family had gone and was going through to survive in Canada; he was an integral part of that struggle. He didn’t want to be perceived as a burden and started looking for a job even while he was going through the mental trauma. On his own found a job soon after completing his High School. His mental health treatment continued for a while, and he dropped out of the program in television broadcasting that he started after completing his High School. One of the struggles that we face in our lives is the unnecessary stigma that we attach to mental health. I’ve never understood why this is the case. If it’s natural to go to a doctor when we have some physical ailment, why shouldn’t it be equally natural to go to a doctor when we have a mental ailment. It is also during such times that we experience the pettiness of people we know, and who claim to be our friends. A memory that will never fade away is of a few such “friends” mocking our child’s inability to do well at school, without knowing the hard time he was going through. 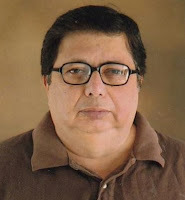 In the Indian context, 2012 turned out to be a year when we lost one of the tallest cultural ambassadors of India – a man who perhaps single-handedly created more awareness about Indian classical music than anyone else did. Ravi Shankar, the acclaimed sitar maestro, passed away on 12-12-12. In the universe of music, there is no musical instrument better than the sitar, and nobody could play it as Ravi Shankar did. And Indian film industry lost its first superstar Rajesh Khanna on 18 July 2012. There are many ways to remember Rajesh Khanna. I remember him for putting the fear of Bhagwan Ram in Lal Krishna Advani’s heart in the 1991 election when Advani won by the thinnest of margins from the New Delhi constituency. (Read the blog on his death here: Rajesh Khanna). During the year, we also lost IK Gujral, perhaps India’s most erudite Prime Minister; and the technocrat administrator responsible for the white revolution in India – VG Kurien. Bal Thackeray also passed away in 2012. As a journalist, I had interviewed him on a couple of occasions and then during one interview when I was at the Sunday Observer, I’d asked him who’d succeed him (two decades before he’d pass into history). He was apparently so disturbed by the question that he refused to meet me ever thereafter. Bal Thackeray, without any doubt, is one of the most divisive political leaders to emerge in post-Independent India. But, he was not alone. Divisive politics has been the bane of Indian parliamentary democracy, and these leaders and their parties have had no qualms in exploiting the innate divisions within the Indian society for petty electoral gains. In the process, seven decades after Independence, when India should have become a beacon of hope to humanity with its message of love and acceptance, it's standing on the edge of the proverbial precipice, riven with hatred, intolerance and majoritarian violence. In 2012, Ajmal Kasab, the sole surviving terrorist of the bunch that attacked Bombay in November 2008, was sentenced to death. I’m opposed to the death penalty, but on this occasion, I didn’t protest. I also lost a friend and former colleague Eva Doctor, who suddenly passed away on 26 July 2012. We worked in different sections in the US Consulate while I was there, and I'd periodically take time out and sit with her to chat about nothing in particular and come away relaxed. One needs at least one friend in a workplace with whom one can be oneself without pretence. Someone who can bring a semblance to sanity to an otherwise toxic and vicious place that most workplaces tend to be, and that the US Consulate in Bombay was definitely at that time. There is no single story about a place or a people. The well-known novelist, Chimamanda Ngozi Adichie has called it “The danger of the single story” because it is dangerous when we show the same thing about someone again and again; they become that, and all other possibilities are excluded. This is especially relevant in today’s climate, both political as well as social. In my collection, “The Scent of Mogra and Other Stories” the female protagonists have different stories to tell. 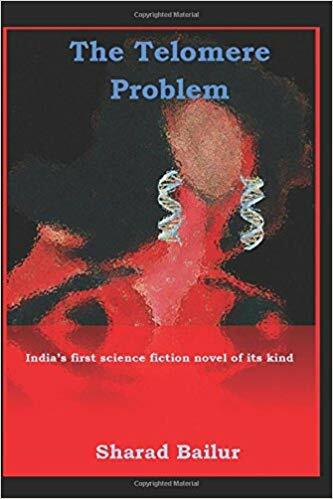 They range from a fifteen-year-old girl from Jaisalmer, in eighteenth-century India, who runs away with the nomadic tribes, to a middle-aged woman in modern-day Mumbai. There is also the character of a grandmother in Toronto dealing with old age and disease; of a village bride who moves to Mumbai, expecting the City of Dreams to fulfill her every wish, and of a young mother in pre-independence India on her death-bed reliving the molestation by her father-in-law and fearing for her daughters after her death. The title story, “The Scent of Mogra”, is narrated by a dead woman who is reminiscing about her life on Earth and about her daughter who she somehow knows is suffering. These are stories not just about women’s oppression and exploitation in a male-dominated society, but of resilience, passion, and triumph. The varied female protagonists, in their different time periods, go through the turmoil that is life-changing and that creates within each one an inner strength and a determination to move on. These women come into their own as life unfolds around them. I am delighted to announce that “The Scent of Mogra and Other Stories” will be published this September by Inanna Publications. When I started writing these stories, some written in Toronto, and others in Mumbai while we were living there, I never gave a thought to having them published; I was so enjoying the creative process and the writing. But friends and family urged me to submit, and I did. I was very fortunate to be accepted by Inanna. One of the themes that link the stories in this collection, women’s lives within a patriarchal structure, is close to my heart. But the writing of the stories took me outside of myself in a way that let me see the larger picture of women’s existence over the centuries; it gave me a deep appreciation of the unique texture of individual lives and relationships. The stories will resonate with all readers, men and women, young and old, as they are drawn into the lives of the characters. The women who inhabit the stories inhabit the real world, and we all know someone like them. “The Scent of Mogra and Other Stories” will not only remind readers about the many issues that women face across generations and cultures but help cast a fresh eye upon them. I hope that like all art that moves readers, viewers or listeners in its many mysterious ways, my stories will find a way to engage my reader’s heart, her imagination and intellect and provide the keen enjoyment that we all go to books for. Finally, my wish is that this collection will help someone feel less alone in the world. I am excited about the launch of my book on September 28th, sponsored by The International Festival of Authors (Toronto Lit Up) and Inanna Publications, at Ben McNally Books in Toronto. I will read from my stories and sign books from 6 to 8 pm. I look forward to seeing many of you there. 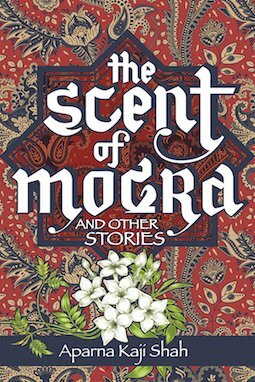 In case you would like to pre-order “The Scent of Mogra and Other Stories”, it is available on Amazon Canada, the US and the UK. It can also be pre-ordered from Indigo. You can follow me on Twitter @akajishah and on Facebook at Aparna Kaji Shah.